Wanderlust in your wardrobe—the South Pacific is only one wash cycle away with Fabric Day intensive in Caribbean Turquoise. Easy to use—a complete package for dyeing textiles in the washing machine. Fabric dye for use in the washing machine. Love colour? Live colour! 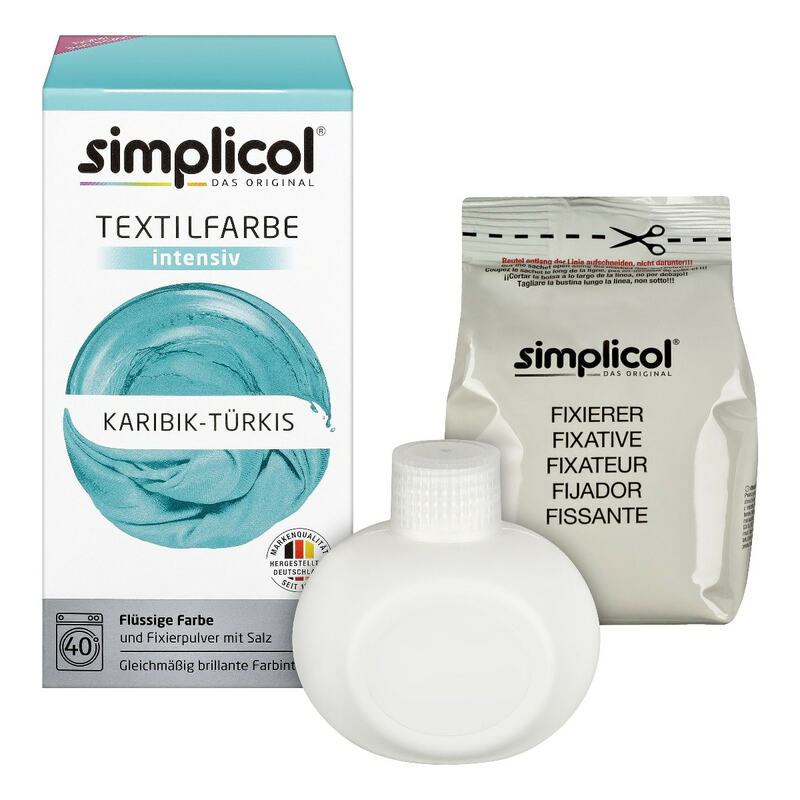 It’s so easy with simplicol Fabric Dye intensive. Give your clothes and home textiles a fascinating new look with just one wash. The fabric dye is suitable for cotton, viscose, linen, and blends. Use directly in the drum at 40°C. The liquid dye dissolves quickly to ensure a brilliant, even dyeing result with no blotches. The dyed textiles can then be washed according to the care label (at up to 95°C). 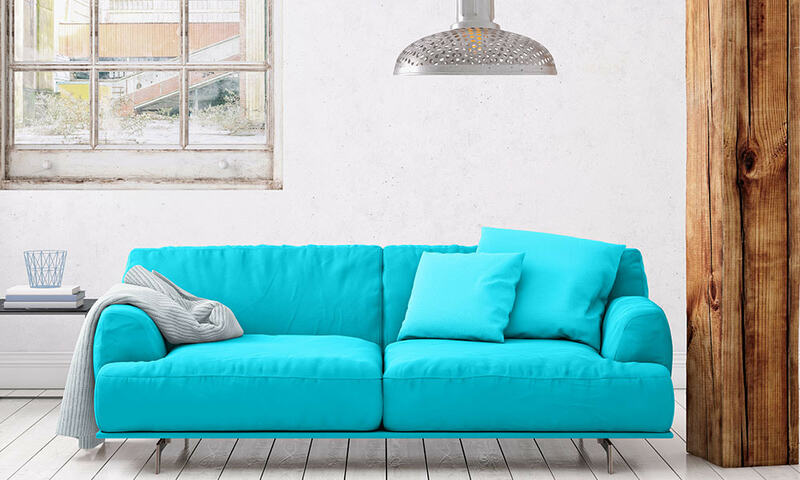 Summery trousers, children’s clothing, or a simple store-bought sofa cover—create fresh accents with simplicol Fabric Dye intensive in Caribbean Turquoise. Create individual designs for table linen and home textiles with simplicol fabric dye. Discover your own style and creativity. One package permanently colours 600 g of fabric (dry weight) in full colour. This is roughly equivalent to one pair of jeans, three hand towels, four T-shirts, or one bath towel. A larger load will result in a lighter shade. 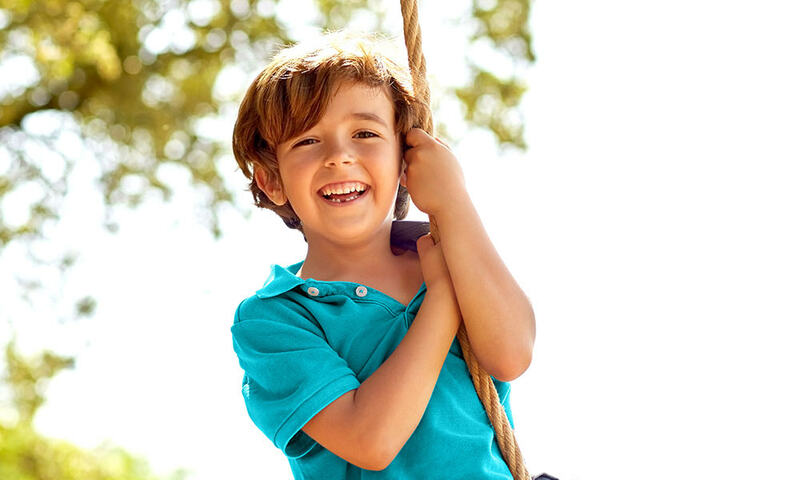 You can dye up to 1.2 kg of laundry at once, using no more than two packets of simplicol Fabric Dye intensive. During the dyeing process, the fabric dye bonds permanently with the fabric. The dyed clothing can then be washed and dried as normal. 1. 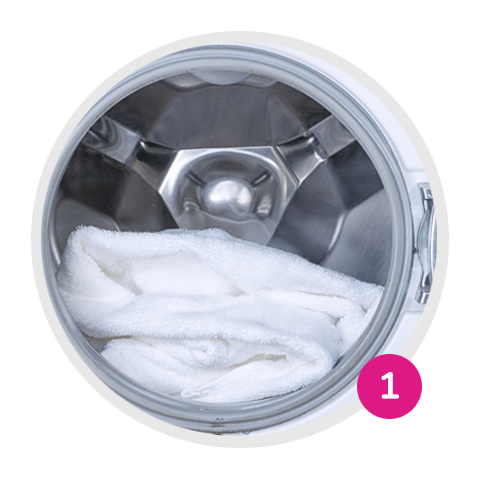 Place clean, dry fabric in the washing machine or top loader. 2. 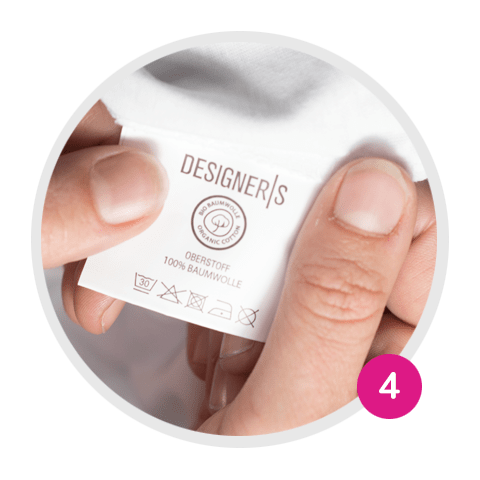 Open the bottle and sachet and place them directly on the textiles in the drum. 3. 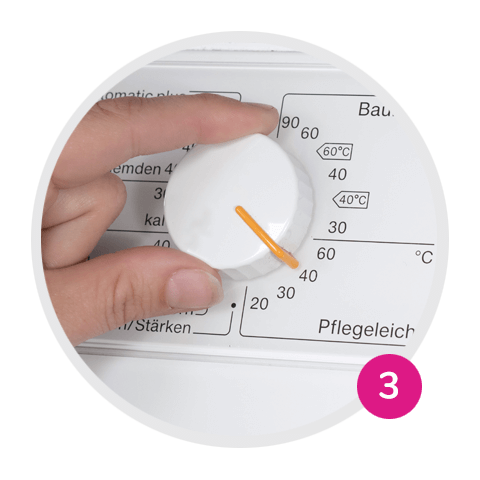 Start a 40°C easy-care cycle without pre-wash.
4. Remove the sachet and bottle. Rewash the dyed textiles once with detergent in the machine according to the care label. Permanent dyeing: no staining, no bleeding. Complete package: liquid dye and fixative powder with salt. Flüssige Farbe: Contains a mixture of Methylchloroisothiazolinone and Methylisothiazolinone (3:1). May produce an allergic reaction. Back to Blue: intense blue for your clothes!